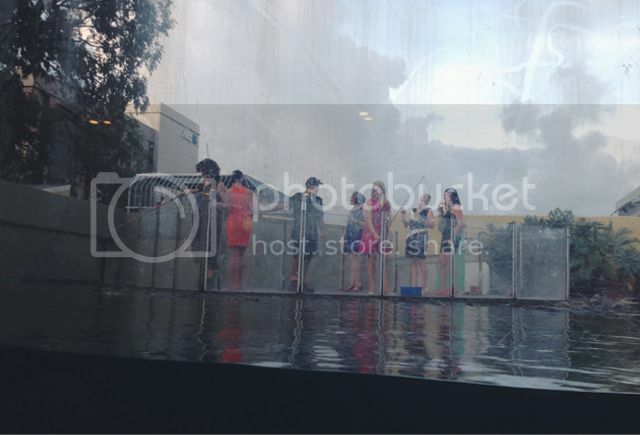 On Valentine's Day the NT Museum held a fundraiser for a new home for the museum's crocodile, Sweetheart. Sweetheart has lived at the museum ever since he died at the hands of Park Rangers (read more here) Sweetheart currently lives in a display case that looks a little like something you'd find in a shopping centre so the museum is looking to raise funds to house her in something a little more appropriate. 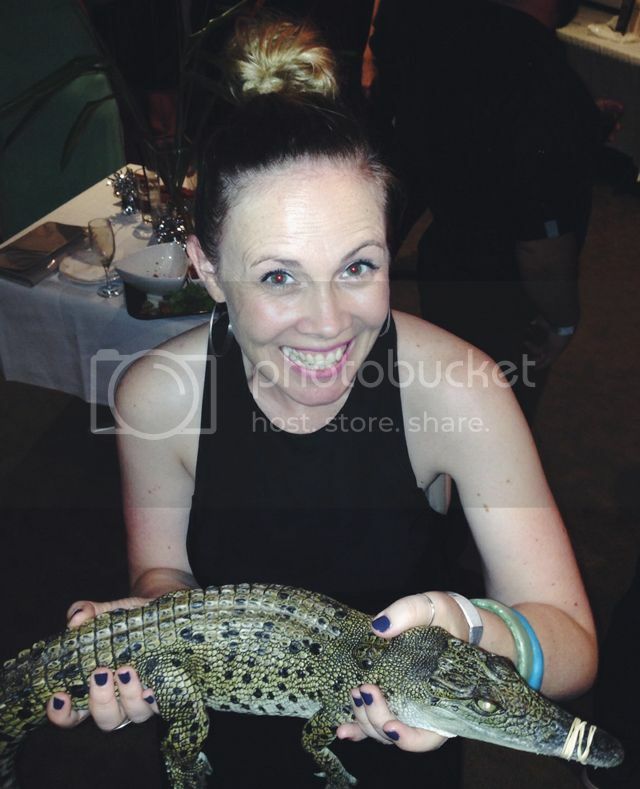 The fundraiser was a cocktail party held a Crocosaurus Cove, a crocodile park in the middle of Darwin's CBD. 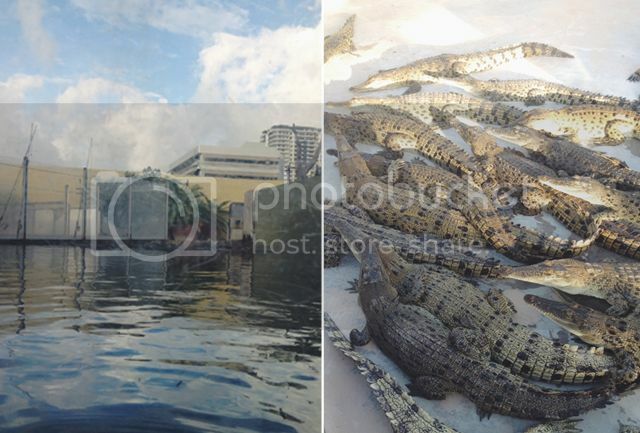 Here tourists can hold baby crocodiles, feed the crocodiles (they call it fishing for crocodiles as they feed them using fishing lines) or 'swim' with the crocs in the cage of death. For this event, only the first two were one offer. And, by the way, there is no way you would ever get me to swim with the crocs. When I was 8 I did swim in a waterhole where they found a crocodile a few days later, but I would never knowingly swim with crocodiles. The feeding was scary enough as it was. I was sure to have my champagne & bag aside so I could focus on the fast at hand (not getting eaten) but others were much braver than me & could multitask with champagne and crocodile feeding! As for the holding, well, it turns out that crocodiles liked to be stroked just like cats do. You could just tell the croc was loving it. 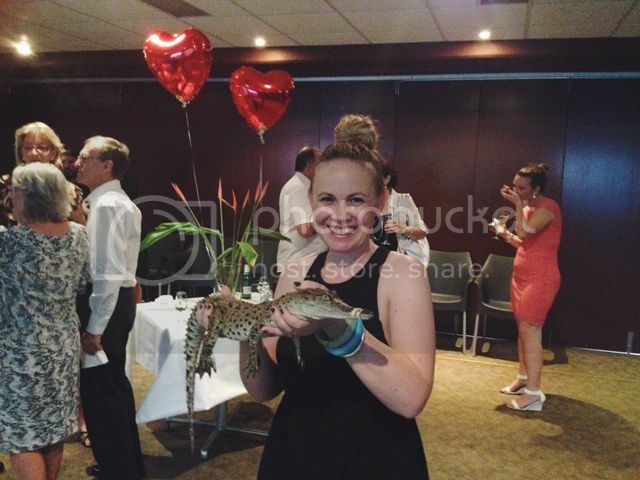 Though in the photo below the croc dose not look impressed at all, but later, once we got to know each other better... All jokes aside, it was a great night & if you are ever in Darwin, check out Crocosaurus cove. 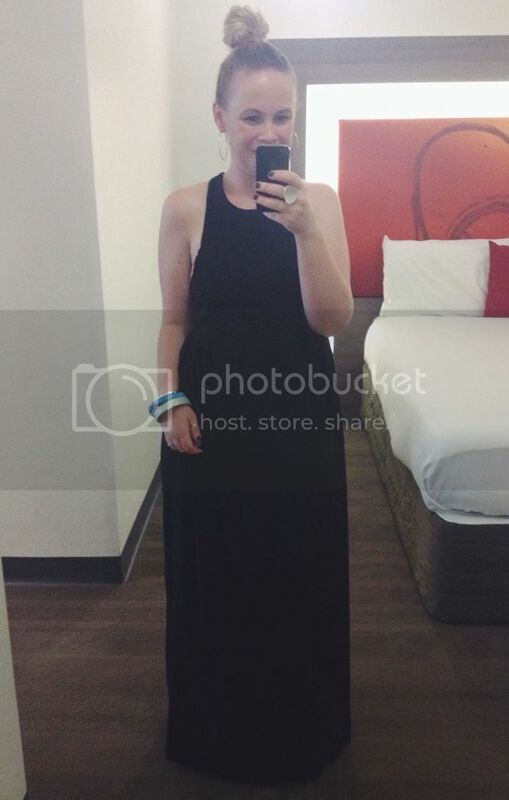 Below is a full photo of my dress by Australian label Minty Meets Munt.